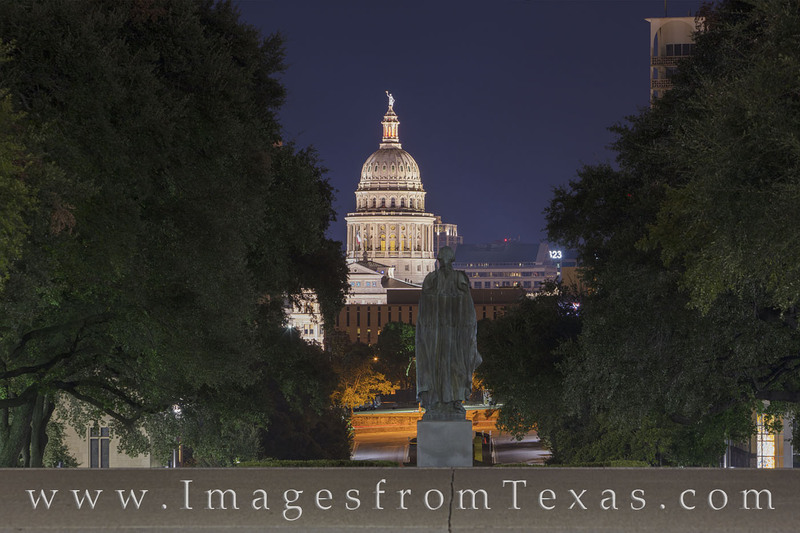 From the South Mall on the University of Texas Campus, this view shows the State Capitol near downtown Austin, Texas. In the foreground, a statue of George Washington presides over the lawn in the early morning hours before sunrise. Photo © copyright by Rob Greebon.